Is Corbyn becoming an ally to the EU? is he ready to betray the British public? A leaked memo claims Jeremy Corbyn told Michel Barnier he would be willing to keep Britain in the customs union if he becomes Prime Minister, betraying millions of voters, and preventing the UK being able to create its own trade agreements around the World. The Labour leader allegedly said in private that he has willingness to make a series of deep concessions if he takes control of negotiations, and becomes the Prime Minister of the UK. Despite a significant proportion of Labour heartlands voting to leave the European Union. 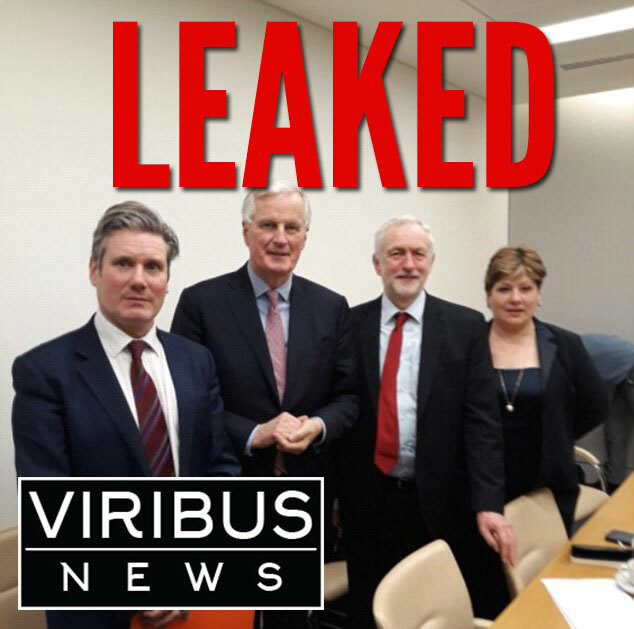 The commitments – which go againt the Labour Party’s official policy – came out in records of a meeting with EU chief negotiator Mr Barnier that took place earlier this week. This would mean the UK being tied to EU law after Brexit and unable to create trade deals elsewhere in the world, significant factors in people’s reasoning for voting to leave. It is not the first time the Labour leader has pushed his party policy in one direction, but in private made a different tactic. It wasn’t long ago that Corbyn suggested he would wipe all student debt, only to then rescind on the idea. The Telegraph originally reported details of the EU memo from a meeting between Mr Corbyn and Mr Barnier earlier this week, drawn up after a debrief between the chief negotiator and ambassadors from the other 27 member states. A spokesman for the Labour leader said: ‘Jeremy did not say he was open to staying in the customs union. He said that a customs union was a viable end point. Interestingly Mr Barnier was comfortable being photographed with Mr Corbyn, however not when he met Brexit backing politicians such as Nigel Farage.